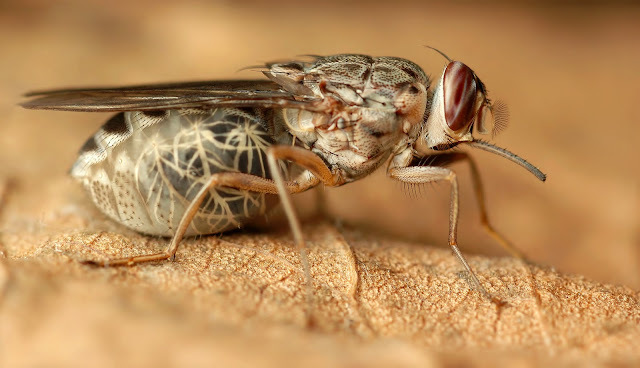 10 Interesting Tsetse Fly Facts and Pictures | Tsetse fly, sometimes spelled tse tse fly or tzetze fly and also known as Tiktik fly , is a biting fly with large body size that populate much of mid-continent Africa between the deserts of Kalahari and the Sahara. They are feeding on the blood of vertebrate animals for living and are the trypanosomes main biological vectors, that cause sleeping sickness on human and trypanosomiasis on animal, also known as Nagana. 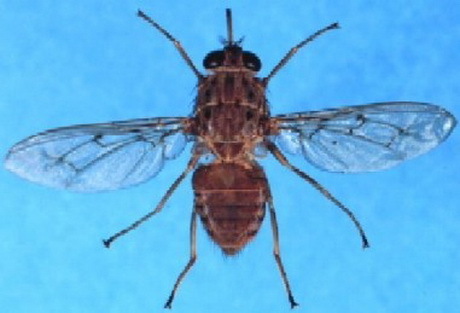 Tsetse fly include all the species in the genus Glossina, which are mainly placed in Glossinidae family. 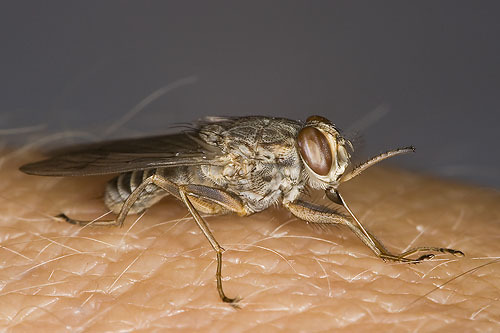 Many studies have been done on the Tsetse Fly because of their role in transmitting disease. The Tsetse flies are having many broods per year (multivoltine), definitely producing about 4 generations every year,and up to 31generations total over their whole lifespan. 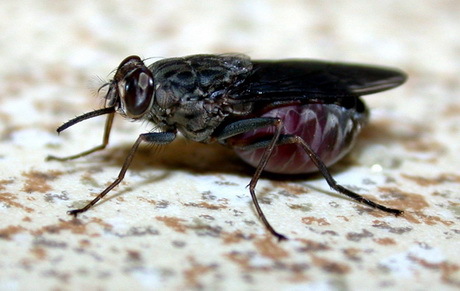 Tsetse flies are roughly look-alike to other big flies,such as the house fly,but can be differentiated by their various anatomy characteristics, 2of which are easy to observe. Tse Tse flies fold their wings entirely when they are taking a rest with the result that one wing rests directly on top of the other wing over their chest/abdomen. Tsetse Fly are also having a long proboscis,which extends directly forward and is attached by a distinct bulb to the bottom of their head. Fossilized Tsetse Fly have been recovered from theFlorissant Fossil Beds in Colorado. 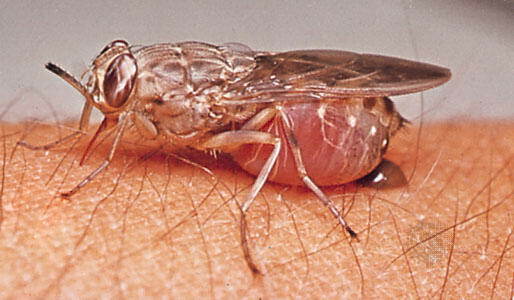 There are 23species of tse tse flies.Diseases transmitted by Tsetse flies kill250,000–300,000people every year. 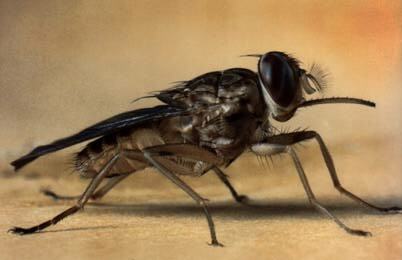 The biology of tsetse fly is relatively well understood. Tse tse have been extensively studied because of their medical,veterinary,and economic importance,because the flies can be raised in a laboratory,and because the flies are relatively large,facilitating their analysis. Entomologists have discovered a great deal about tse tse morphology,anatomy,development,and metabolism. 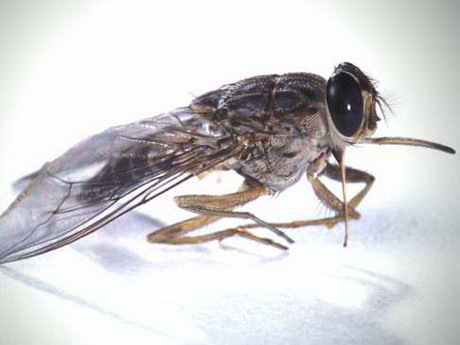 Tsetse fly can be seen as independent individuals in 2 forms:as 3rd instar larvae,and as adults. Tsetse Fly 1st become separate from their mothers during the 3rd larval instar,during which they have the typical appearance of maggots. However,this life stage is short,lasting at most a few hours,and is almost never observed outside of the laboratory. 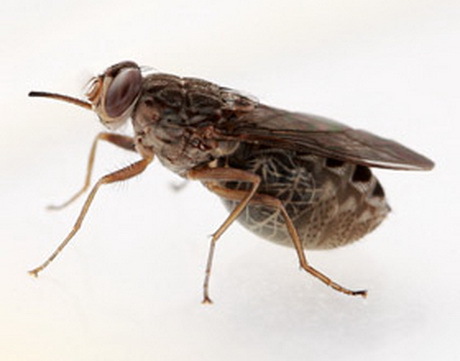 Tsetse Fly next become puparia small,hard shelled,oblongs with 2distinctive, small, dark lobes at one end. Tse tse puparia are under 1.0 cm long. Within the puparial shell, tse tse complete the last 2 larval instars and the pupal stage. 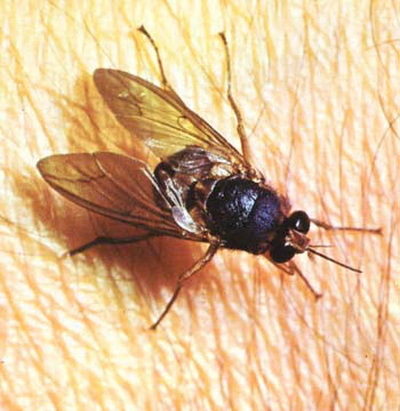 Tsetse Fly then emerge as adult flies. 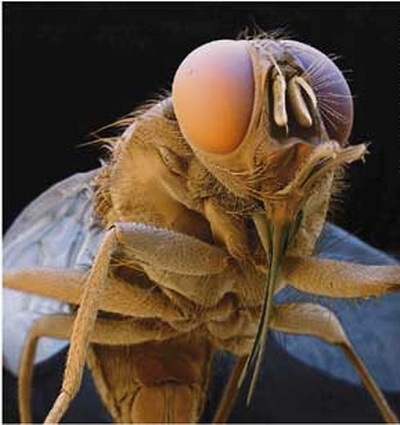 Tsetse Fly adults are relatively large flies,with lengths of ½ –1½ cm, and have a recognizable shape or bauplan so they can usually be distinguished without trouble from other flies. Tse tse have large heads,distinctly separated eyes,and unusual antennae. The tse tse thorax is quite large,while the abdomen is wide rather than elongated and shorter than the wings. The word 'Tse Tse'comes from Tswana, a language of southern Africa,and,in that language,the word means fly. Recently'tse tse'without the'fly'has become more common in English, particularly in the scientific and development communities. The pronunuciation of the word 'tse tse' differs in different regions. Many African languages have an ejective 'ts' sound and so a common pronunciation of the word involves 2 identical syllables both having this 'ts' sound and a shorter sound of the vowel,as "tseh tseh". The British pronunciation of the word uses 2 different sounds for the 2 different syllables, generally tee-tsee. In Zimbabwe, it is generally pronounced Tseh-tsee. 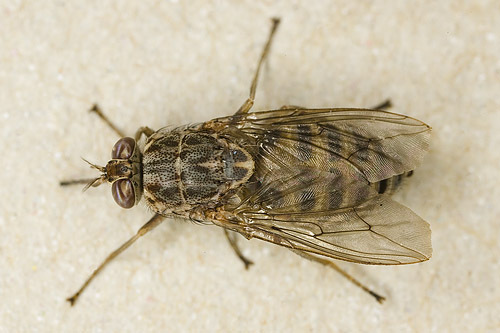 2 Responses to "10 Interesting Tsetse Fly Facts and Pictures"